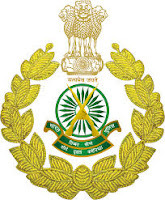 Indo Tibetan Border Police Force ITBPF, Ministry of home affairs MHA, Government of India now published the official recruitment Notification for the posts of head constable combatant ministerial post. All eligible candidates can fill application form online at the official website of ITBP. Selected candidates will be appointed in the pay scale of Rs 25500 – 81100 as per 7th pay commission. Total number of vacancies is 73 including different categories. Indo Tibetan Border Police Force, MHA ministry of home affairs, government of India published the official recruitment notification for the posts of constable Tradesmen in trade of Tailor, Gardener, Cobbler, Water Carrier, Safai Karmachari, Cook, Washer man and Barber posts. All eligible candidates who hold the eligible criteria for group C posts, they can fill application form online at the official website of ITBP. Last date of application form submission is 7 September 2017. Total Number of vacancies are 303 including different categories. Selection process: selection of the eligible candidates will be based on through the written examination followed by trades test, Physical efficiency test, and physical stander test. Phase 1: Height – first of all height test will be held for all candidates. PET test will be qualifying nature only. No marks will be awarded for this test. Trade test - : this test will carry maximum 50 marks. Candidates who will qualify PST test in respective trade test they will be call for written examination. Minimum qualifying marks for trade test will be 50 % for general candidates, and ex service man and 40 5 for SC /ST / OBC candidates. Written test – maximum 50 marks: candidates who qualify Phase-I (PET, PST & Trade test) will have to appear in written examination. Written exam will contains 50 questions from different subject. All questions will be objective type and MCQ based only. Minimum qualifying cutoff marks for general and exs will be 35 % and SC, ST, & OBC it will be 33%. Application form fee – rs 100 for Male candidates belonging to General (UR)/ OBC category. Scheduled Caste, Scheduled Tribe, females and Ex-servicemen are exempted from paying fee.